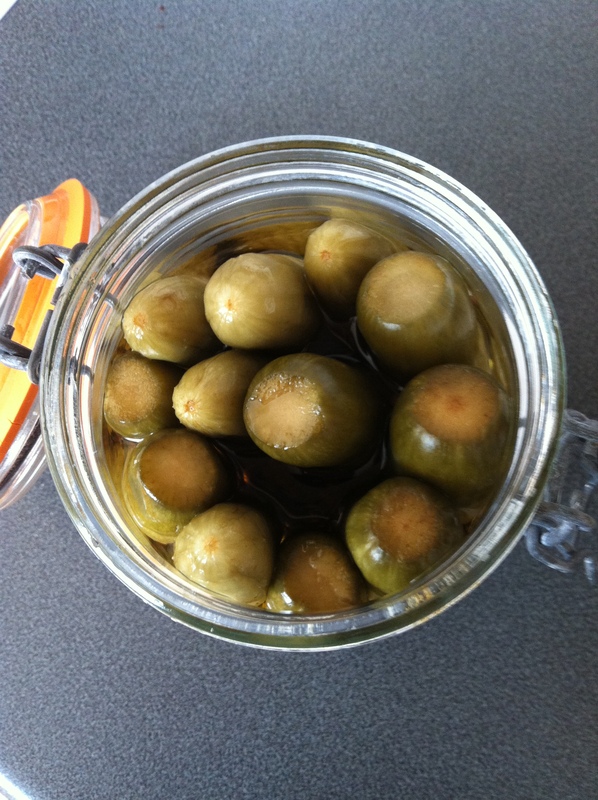 So back in May time, I made for the first time some glorious gherkins and said I would post some pictures of them after they’ve had their 2 months hibernating away in my cupboard. I realised it has been longer than 2 month and the truth is they’ve been at my rentals house and they have been nibbling away at them and I’ve only just managed to get to them! Well – they have a kick and if you like vinegar you’re in for a treat! I love gherkins and must admit they will clear your sinuses! But saying that when they are sliced and sandwiched with a mountain of pastrami and between rye bread or a bagel and a spread of mustard, you’ll just think they compliment. Also unlike the shop bought they have retained some bite, not limp and slimly – nice image I know – which I like. Would I make these again? 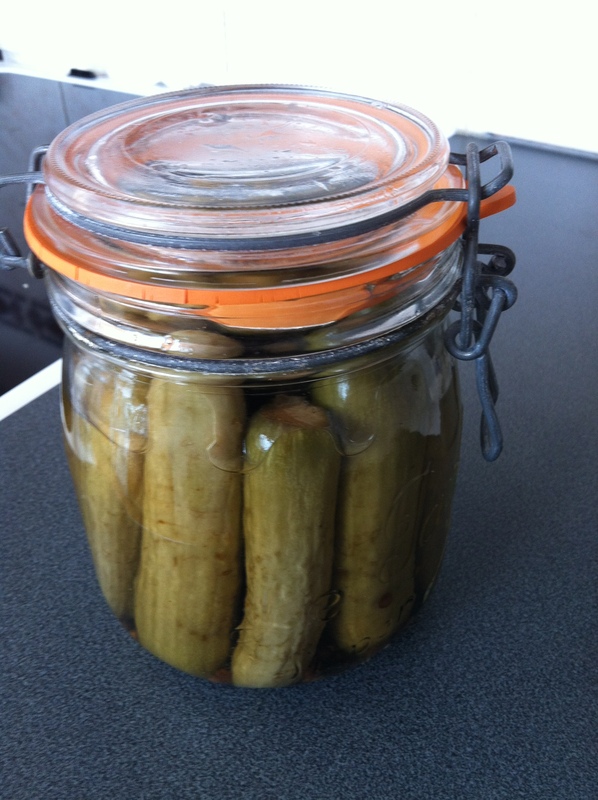 The next pack of cucumbers are in my fridge waiting for their pickling doom…..